↑ ୧.୦ ୧.୧ ୧.୨ ୧.୩ ୧.୪ ୧.୫ "Causes of Diabetes". NIDDK. August 2014. Retrieved 31 July 2016. ↑ ୨.୦ ୨.୧ ୨.୨ ୨.୩ "Types of Diabetes". NIDDK. February 2014. Retrieved 31 July 2016. ↑ ୪.୦ ୪.୧ ୪.୨ ୪.୩ ୪.୪ ୪.୫ "Diabetes Fact sheet N°312". WHO. June 2016. Retrieved 31 July 2016. ↑ ୫.୦ ୫.୧ ୫.୨ ୫.୩ ୫.୪ ୫.୫ ୫.୬ Chiang, J. L.; Kirkman, M. S.; Laffel, L. M. B.; Peters, A. L. (16 June 2014). "Type 1 Diabetes Through the Life Span: A Position Statement of the American Diabetes Association". Diabetes Care. 37 (7): 2034–2054. doi:10.2337/dc14-1140. PMID 24935775. 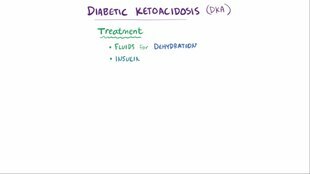 ↑ "Diagnosis of Diabetes and Prediabetes". NIDDK. May 2015. Retrieved 31 July 2016. ↑ "Alternative Devices for Taking Insulin". NIDDK. July 2016. Retrieved 31 July 2016. ↑ Daneman D (11 March 2006). "Type 1 diabetes". Lancet. 367 (9513): 847–58. doi:10.1016/S0140-6736(06)68341-4. PMID 16530579. ↑ "FAST FACTS Data and Statistics about Diabetes". American Diabetes Association. Retrieved 25 July 2014. ↑ Global report on diabetes (PDF). World Health Organization. 2016. p. 26-27. ISBN 978-92-4-156525-7. Retrieved 31 July 2016. ↑ Skyler, Jay (2012). Atlas of diabetes (4th ed.). New York: Springer. p. 67-68. ISBN 978-1-4614-1028-7.